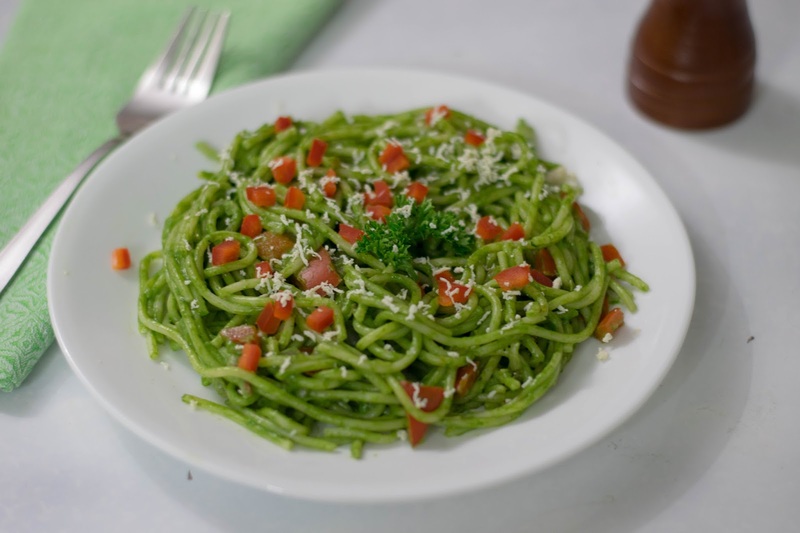 Here's a spaghetti recipe which your kids will love to eat and you will love to serve as it has loads of spinach. 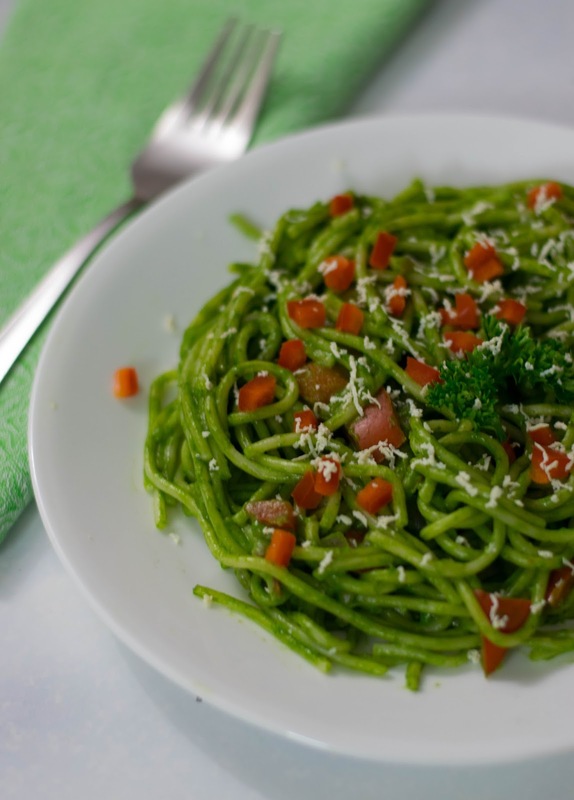 This recipe is aptly named "Spaghetti Verde". "Verde" in spanish means green. Boil 4 cups of water with salt and oil. 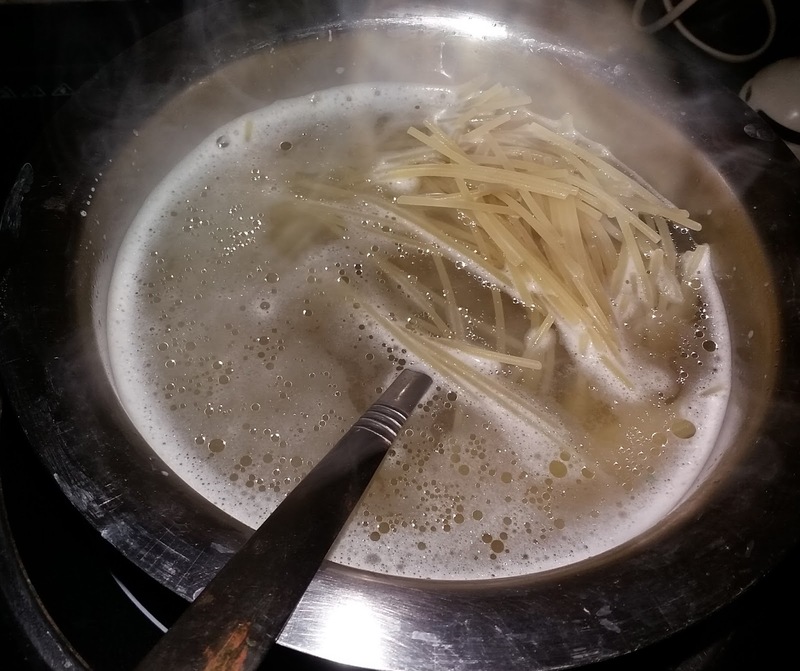 Add spaghetti and cook till al dente. 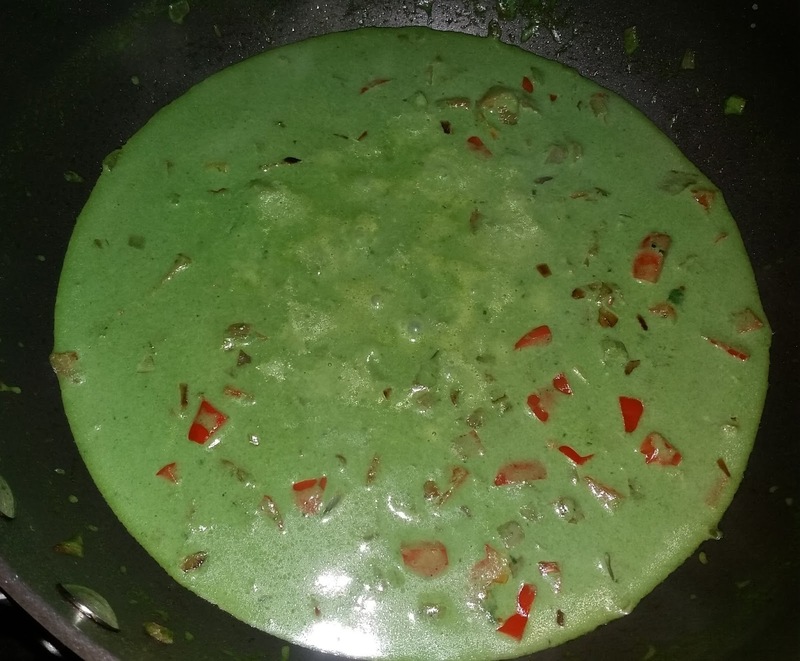 Blanch spinach and make a purée. Heat oil in a pan and add onions and garlic. 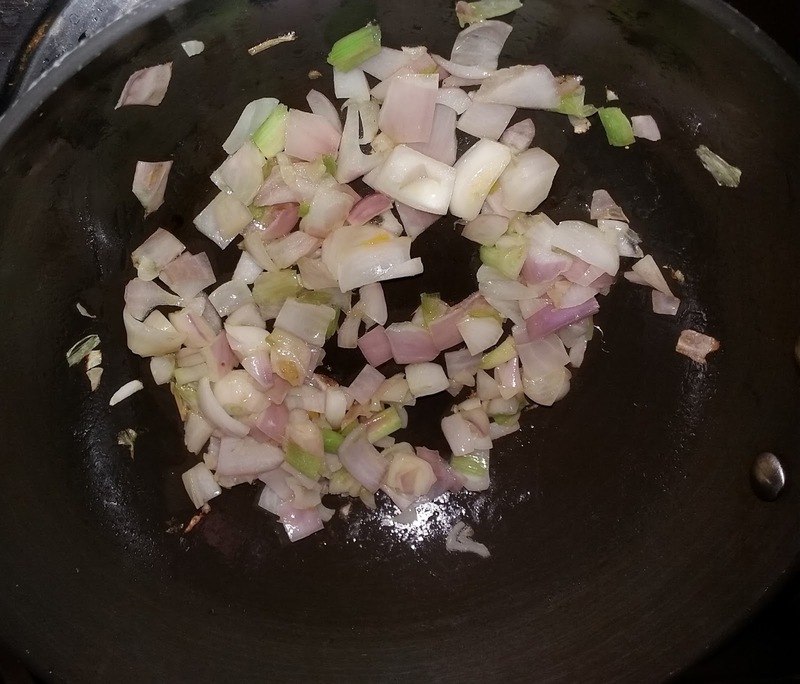 Sauté till it turns translucent. Add bell peppers and sauté for a few minutes. Add spinach purée, milk cornflour mixture, cheese slices, salt and bring to a boil. Add the spaghetti. Mix thoroughly and serve immediately.